This year, I've made it a goal to grow my hair back. I really miss having long hair and though I've had a lot of fun having short hair for the last 2-3 years - I'm bored. I fancy a nice lengthy change. I'm really started to miss my long hair and I really miss all the different hairstyles I could do with it. I've also got the idea of getting my ombré back once it's a little longer preferably before my holiday in April, but I'm not 100% sure on that idea JUST yet. 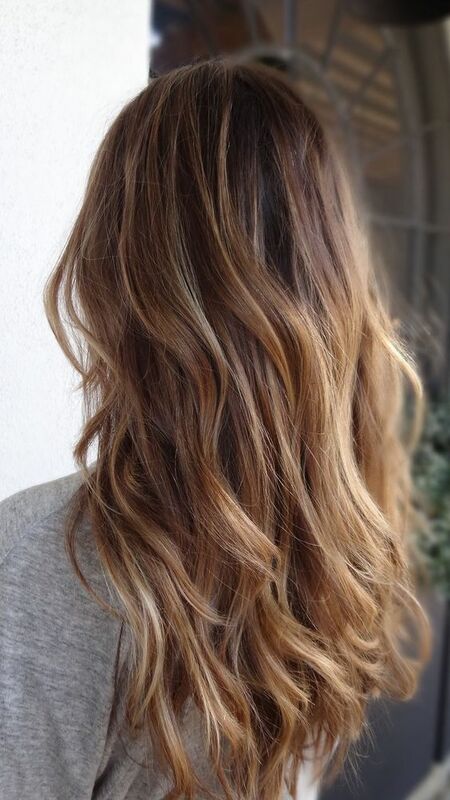 So of course, I turned to Pinterest when these thoughts occurred to start planning what I would do to help the growth of my hair, and what styles I would go for when it was finally time to head to the salon and show them what I wanted. Today I thought it would be nice to share with you my ideas! In terms of length, I'm looking to grow it as long as possible. I've never had hair past my chest area so it would be lovely to get those long 'mermaid' locks! I've been searching lots of ways to help it grow and I'm hoping I can test out some of the tricks at home like not throwing my hair up in a towel anymore (causing breakages), skipping shampoo sometimes (removing essential natural oils) and also giving your scalp a massage with a good hair oil once a week. And hopefully I can start seeing some results over time - because I know hair doesn't grow overnight but it hasn't been growing very much this winter (and I haven't cut it since September)! I loved my ombré the first time I did it, and the only reason I got rid of it was because it was getting brassy and looking pretty awful really. And I was just starting the era of bright red hair which I have to say, was glorious and probably my most favourite hair style to date! It was just a little too expensive to keep it consistently red :( Boo. 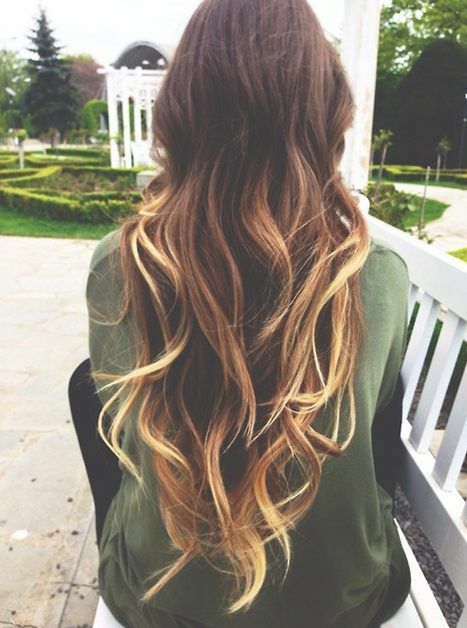 But OMBRÉ! Now that's something that I think I could easily look after along with long hair and I also think I could pull off again. 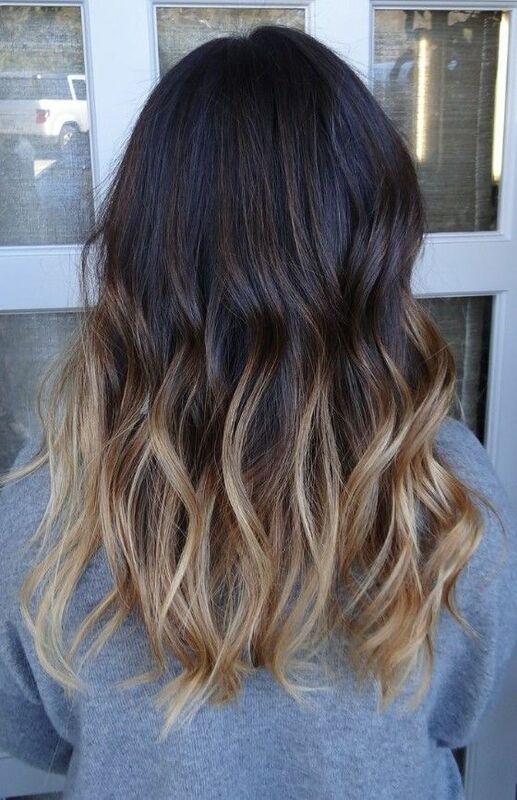 As I mentioned before, I'm still not quite sure what sort of ombré I'm going for, but I am heading towards the harsher looking ombrés than the subtler ones. Maybe I can find something right in the middle I'm going to love! I have to say I've had long to long, long hair for the past few years. I can understand you wanting to grow it out. 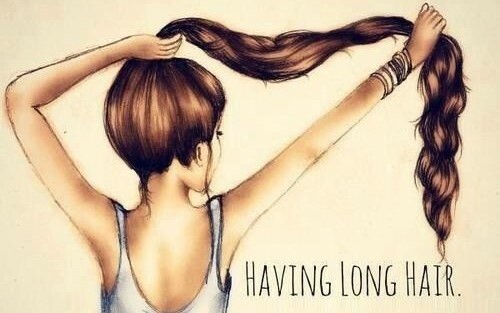 I love my long hair and can't imagine cutting it any shorter than losing maybe a few inches.